Helping the IJC prevent and resolve transboundary disputes by providing advice on matters affecting the quality, levels and integrity of the waters of the Red River ecosystem. 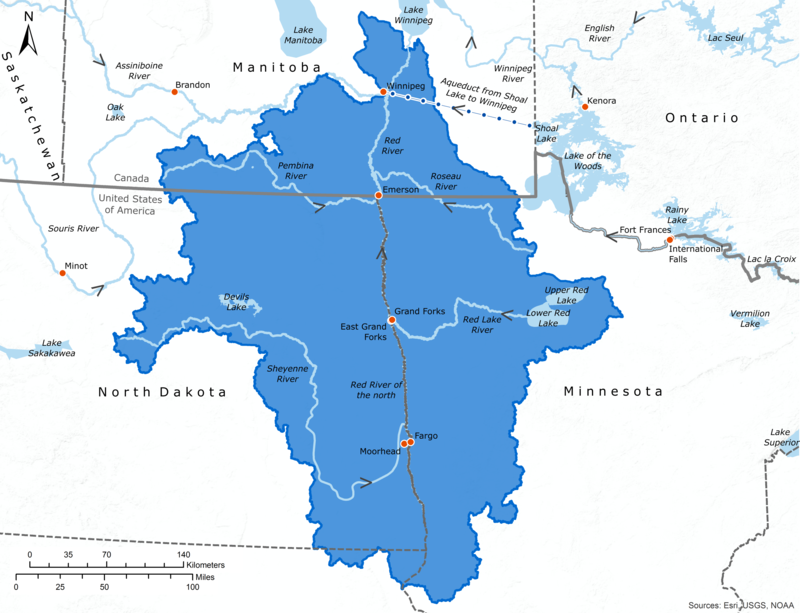 The Board keeps the IJC informed of basin activities that affect transboundary river flows, water quality, and ecosystem health in the Red River and its tributaries. The Board also monitors the implementation of flood-related recommendations made by the IJC. The International Red River Board (IRRB) will be hosting a public open house meeting at the Canad Inn, Grand Forks, ND on Thursday, January 17, 2019 during the luncheon at the Red River Basin Commission’s Annual Summit Conference. The IRRB assists the International Joint Commission in preventing and resolving disputes relating to the transboundary waters of the Red River Basin.